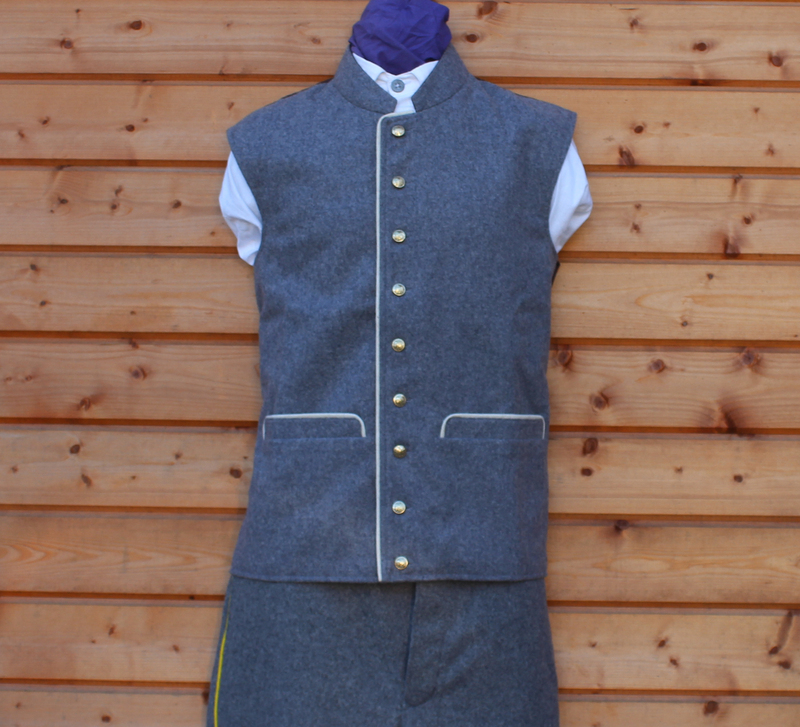 CS Officers Wool Waistcoat with Cream Piping, and cotton lined, with brass CS Officers Buttons. Waistcoats like this were not Government issue and were often purchased. This design is very similar to one that was imported from England from the Company S Isaacs, Campbell & Company of England. This would have come through the blockade at Wilmington NC.